The author of more than 300 scientific publications, Dr. Berrettini conducts research on the genetics and pharmacogenetics of several complex traits, including addictions, mood disorders, eating disorders and epilepsy. 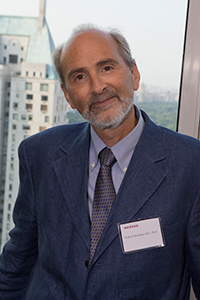 Since 1997, Dr. Berrettini has served as the Director of the Center for Neurobiology and Behavior, a group of interdisciplinary scientists studying genetic and biologic influences on brain disorders and behavior. Dr. Berrettini earned his M.D. degree (1977) and Ph.D. degree in pharmacology (1979) from Thomas Jefferson University (TJU). After completing residency training in psychiatry, he studied the genetics of behavioral disorders at the National Institute of Mental Health for 10 years.